If you’re anything like the rest of the world right now, you’re glued to the television watching Michael Phelps swim his way further into the hearts of the country. 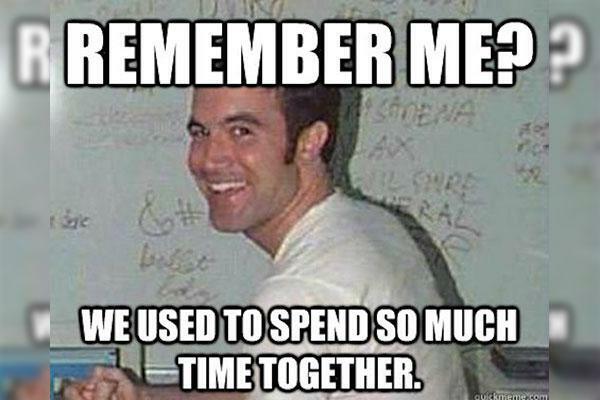 When he first swam in the Olympics in 2000, social media wasn’t even a twinkle in Mark Zuckerberg’s eye — if it was anything, it was a coffee stain on Tom’s white t-shirt in his MySpace profile pic. Now as Phelps closes his career with 28 medals, making him the most decorated Olympian ever, the social universe is a whole new ball game (er, swimming pool?). Thanks to Twitter, Facebook, Snapchat, and Instagram, we see the action before, during, and after scenes from Olympic athletes like Michael Phelps, Katie Ledecky, and America’s #FinalFive. NBC’s Olympic social media channels are crushing it. We at Higher Ed Live would award them the gold medal of social media coverage. The games are a great case study of social media done right and higher ed professionals should take note. Anything can happen during an event. Your star makes a face and the world wants a meme. Catch that wave and ride it through. Hamilton College did just that in this perfectly timed tweet last week. It’s much easier to cultivate an audience that’s already engaged. Work smarter, not harder, by harnessing user generated content and looking for opportunities to join the conversation your constituents are already having online. Special events aren’t an excuse to be irreverent or incorrect. Check to make sure your tone is on point. The Olympic social media team isn’t offensive or crude, but they do have fun while poking fun. For example, USA gymnast Aly Raisman’s parents are literally squirming in the stands watching her routines every night. The social media team found a way to highlight their anxiety in a universal, light manner. The University of Nebraska had a lot of fun a few years ago with their new chancellor, Harvey Perlman. Perlman was featured in a series of videos, Harvey’s Perls of Knowledge, waxing poetic on YOLO and the Harlem Shake. Although the topics weren’t serious, Perlman was able to bring the message back to Nebraska and simultaneously endear himself to the community. As higher ed professionals, we’re so focused on creating engaging content for our social media channels that we sometimes forget to provide a service. We all see the value of constant updates during a campus crisis but don’t forget about things like providing parking information for big events, posting the new student orientation schedule, or sharing campus tour times. And please, please don’t forget the importance answering a question — on any social channel. Your audience will thank you! Sports, maybe more than anything else, has the potential to give you all the feels. There’s the tried and true underdog stories of Eddie the Eagle, the Miracle on Ice, and the quiet determination of Kerri Strug. This year, Adam Peaty’s #OlympicNan has the world collectively dabbing their eyes and hugging their grandmothers a little tighter. Simone Manuel made history when she was the first African-American to win an individual event in Olympic swimming, and her emotional reaction made everyone’s hearts melt. Higher ed is chock full of these poignant stories. Our student and alumni communities are diverse and eclectic. They’ve overcome financial circumstances, physical limitations, emotional stress, and a lot more for a chance to study on our campuses. Sharing these stories creates empathy and celebrates what sets your institution apart. It’s exactly what Southern New Hampshire University did when they drove across country to hand-deliver degrees to alumni who couldn’t attend graduation. Is it just me or does it seem like there are eleventy billion people on the Olympic social media team? These folks don’t miss a thing with around-the-clock coverage. The only way to do this effectively is to involve people. This doesn’t mean you have to give your Twitter password to every member of the soccer team, but you should look for ways to involve smart storytellers in your social media strategy. St. Lawrence University pioneered the student-run Instagram account @herewegosaints where a different student snaps photos every week. Colgate turns their Twitter account over to academic departments and student groups every now and then. Dozens of schools have adopted similar strategies. Social Media User Groups (SMUG) are also popular on campuses and are a great way to share content and find stories. If you don’t have one, gather your power users and start trading secrets! Full disclosure, I am rooting for Team America this year in the Olympics. So is Leslie Jones, SNL cast member and one of the stars of the new Ghostbusters movie. Her enthusiastic tweets about Team USA caught the eye of the Olympics social media team. What did they do? They invited her to the Games, gave her front row seats, and turned her into a brand ambassador. @shoemakermike OK @Lesdoggg you’re officially invited to Rio. Want to come? If you’re running a flagship account for your institution, you have an inherent bias — own it! Tout your achievements, highlight faculty research, look for every opportunity to bleed your school colors into your work. You should be the torchbearer (see what I did there?) for every #BuckeyeForLife post. You should recruit every member of #School2036. Exploit Fluffy for all she’s worth. Make your point: you are proud to be who you are. Daniella Nordin has no affiliation with the 2016 Olympics or NBC. She is interested, however, in being a member of the social media team for any and all upcoming Olympics. If you can hook her up, tweet her @DaniellaNordin. Great list, thanks. Having fun is really important especially when you want to share your “human” side. As for riding the wave, we couldn’t agree more; it’s vital for organizations to establish consistency in their communication regardless of the medium. Again, thanks.